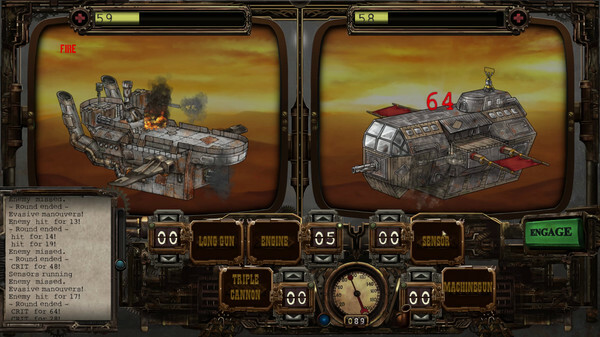 In Age of Grit you play the captain of an old, beat-up, steam-powered airship. 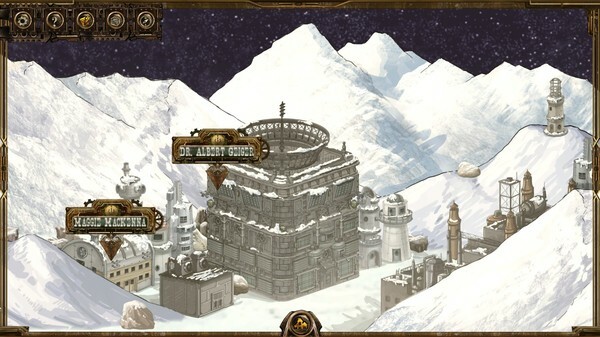 You and your crew adventure across a vast, cowboy-themed, steampunk world simply known as "The West." You're looking for whatever work you can find--bounty hunting, smuggling contraband, running guns...maybe even a little train robbery if yer so inclined. 'Bout anything to pay the bills, keep the guns loaded, the boiler stoked, and keep your ship in the sky! 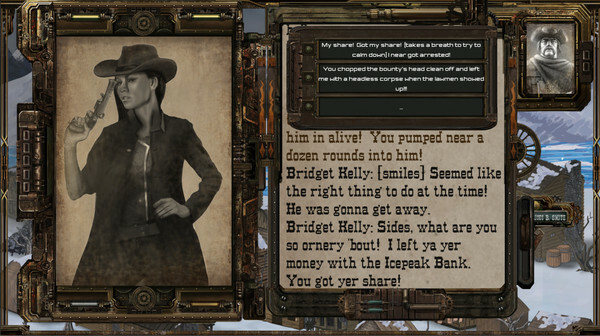 Travel from one Wild West town to the next, meeting interesting characters. A few might have a job to offer or cargo for you to haul. Others might be fixin' to just shoot you where you stand. At its core, Age of Grit is about the people you meet, what story they have to tell, and how you choose to interact with them. 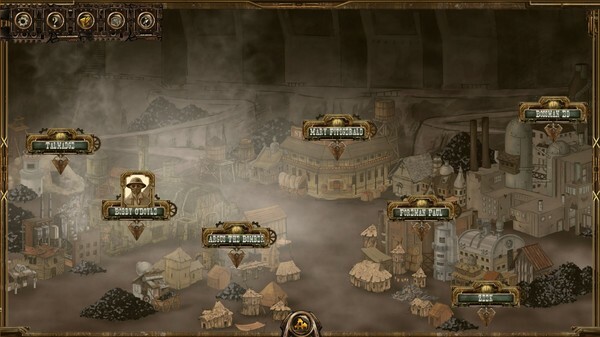 When trouble comes, you'll battle enemy airships using a deeply strategic, turn-based combat system. 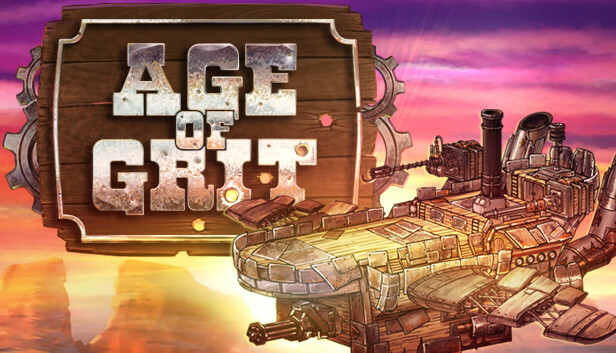 Far from a button masher, AOG will require careful thought to achieve each victory. A heavy cannon might do well against a slow moving, heavily armored enemy, but perhaps a long-gun will be more effective when gunning down a more agile opponent. A machine gun might be powerful at first, but as the barrel overheats it's effectiveness will diminish. With clever strategy, a weaker ship can typically bring down a much stronger foe. 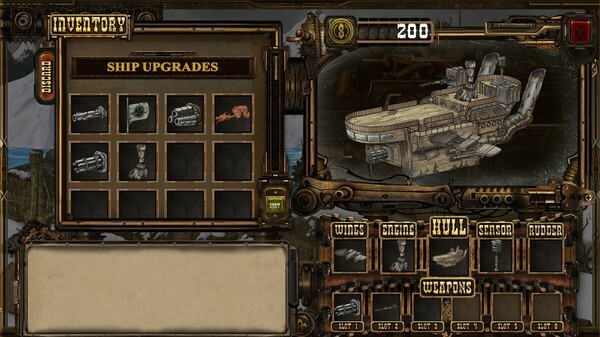 You can buy better machinery from one of The West's many shops and dealers, or you might be able to salvage better parts from the wreckage of a vanquished enemy's ship. 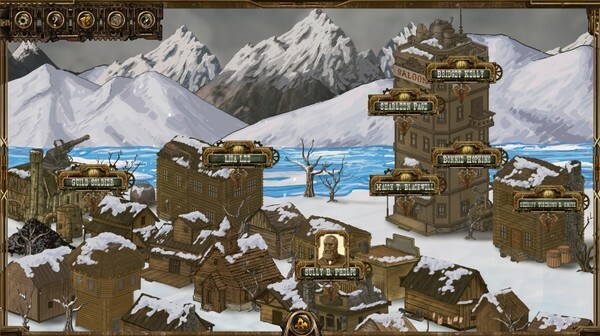 As you improve your airship you’ll be able to take on bigger and more powerful foes and, in so doing, spread your fame across The West!